For a look at the challenges faced by a young African-American man in an urban environment, we go to 2018’s Blindspotting. Set in Oakland, we meet Collin (Daveed Diggs) with three days to go on probation. Collin went to prison for assault, and he works hard to stay clean until he gets clear. A few factors complicate this, with an emphasis on his life-long friendship with Miles (Rafael Casal), a short-tempered hothead whose actions often threaten to get Collin into trouble. At its best, Blindspotting offers a bracing, entertaining character effort. It looks at a few specific days in its lead’s life and it does so in a blunt, involving manner with wit and charm. 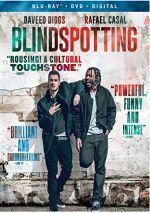 However, Blindspotting loses some points due to its lack of consistent focus. Honestly, the movie veers between comedy and drama with such rapidity that it can be jarring. Blindspotting comes with an inconsistent tone. It also seems to aspire to be a bunch of different movies in one. You've got a story about difficulties encountered by young black men. You've got a comedy about life in the hood. You've got a tale about gentrification. You've got a "psycho friend" movie about Miles. You've got a look at social injustice and police brutality. Much of it works despite the overreach, but the lack of focus becomes a problem. This doesn't mean I believe the movie needs to be "one thing and one thing alone", but as often happens with movies from newer filmmakers, Blindspotting packs too much into one short film. The actors do well and we get a little more balance than the trailer implies, as Miles looks like he'll be a total psychopath in ads. Still, the movie stretches too far and that makes it a bit of a narrative mess. It also makes various plot points too inevitable. As the dramatic cliché goes, you don't introduce a gun in Act One if it won't go off in Act Three, and the movie stretches credulity to make some of these inevitable moments happen. I still like Blindspotting overall, as it's an interesting 95 minutes that gets you to care about the characters. I just wish it came with a tighter focus and didn't try to tell so many different stories. Blindspotting appears in an aspect ratio of approximately 1.85:1 on this Blu-ray Disc. I thought the Blu-ray provided consistently satisfying visuals. Sharpness was generally very positive. A smidgen of softness appeared in some interiors, but those instances were minor. Instead, the program demonstrated nice clarity and accuracy the vast majority of the time. Blacks were acceptably dark and deep, while shadows showed generally positive delineation. Overall, I found this to be a strong presentation. Downconverted to Dolby True HD 7.1, the Dolby Atmos audio of Blindspotting worked pretty well. Not exactly an action extravaganza, the soundscape didn’t offer a whole lot of note. A few scenes – like on streets and with a few violent bits – opened up the mix in a moderate way. However, this was a chatty movie overall, though, so one shouldn’t expect much from the soundfield. Speech was an important factor that worked fine; the lines were consistently distinctive and natural. Nothing here dazzled, but the audio remained more than acceptable. In terms of extras, we get two separate audio commentaries, and the first comes from producers/writers/actors Daveed Diggs and Rafael Casal. Both sit together for their running, screen-specific discussion of story/script/characters, cast and performances, sets and locations, music, and related domains. While an energetic track, Digg and Casal don’t provide a consistent level of useful information, as they often seem more focused on tangential material. They do dig into good details more as the film progresses, though, and they throw out real insights during those parts. These make the commentary erratic but ultimately worth a listen. For the second commentary, we hear from director Carlos Lopez Estrada. He provides a running, screen-specific look at story/characters, cast and performances, music, sets and locations, and other production notes. Like Diggs/Casal, Estrada brings us an erratic track. Much of the time, he either narrates the movie or he simply points out locations and the names of actors. He presents enough substance to ensure the commentary doesn’t become a bore, but it’s still an inconsistent discussion. A featurette called Straight from the Town runs 26 minutes, 18 seconds and offers info from Lopez, Diggs, Casal, producers Jess and Keith Calder, and actors Janina Gavankar and Jasmine Cephas Jones. 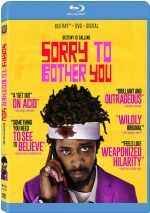 They discuss the movie’s origins and development, tone and themes, story/characters, cast and performances, depicting Oakland, music, and visual design. We get some strong information in this compelling reel. Next we get a Director’s Diary. It goes for 17 minutes, 11 seconds and features Estrada’s behind the scenes video from the set. This mixes basic footage from the shoot with introductions to various participants. I like the glimpses behind the scenes but the intros become tedious. Four Deleted Scenes fill a total of six minutes, 18 seconds. The first two provide more impromptu rapping from Collin and Miles, while the third shows a brief interaction between Collin and a hipster. With the last one, we see how negatively Collin and company react when a co-worker wears a 49ers jacket. The two rapping scenes feel tedious, but the other two offer some amusement, even if they seem superfluous overall. The disc opens with ads for Kin and A Simple Favor. No trailer for Blindspotting appears here. A second disc provides a DVD copy of Blindspotting. It includes the same extras as the Blu-ray. Often involving and entertaining, Blindspotting stands as a very watchable effort. However, it lacks focus and bites off more than it can chew. The Blu-ray presents very good picture and audio as well as a fairly compelling set of supplements. Blindspotting brings an engaging flick that just needs a little more tightness.